Reaching Lombok Indonesia won’t be a difficult thing because there are so many flights to Lombok and you can also reach the Lombok Island with bus and ferry. Lombok has an international airport, named Lombok International Airport or Bandara Internasional Lombok. 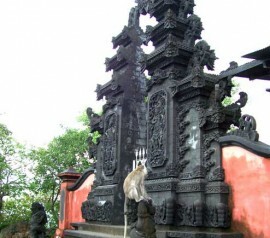 The international airport is location in Praya, a small region in South central Lombok. 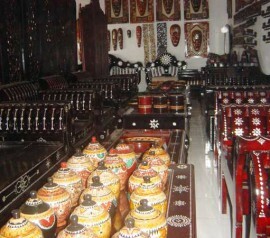 Praya is located about 26 km from Mataram. The airport serves various Indonesian Airlines and for the international Airlines, it serves Silk Air from Singapore. With the international Lombok airport, tourists can reach Lombok by flying from Singapore to Lombok. Most of the Airlines hit Singapore before they continue to other directories. Therefore, tourists from US or Europe can reach Singapore easily with various flight choices and continue the travel to Lombok in a single flight. If you don’t want to transit in Singapore, then choose a flight to Jakarta and continue the flight to Lombok with Garuda Indonesia or Batavia Air. It takes about 4 hours form Jakarta to Lombok. Various flights are available from Bali to Lombok like Indonesia AirTans, Merpati Airlines, Trigana Air and Garuda Indonesia. In about 25 minutes, you will reach Lombok. If you are in Surabaya, then Lion and Merpati Airlines are available. It will take about 2 hours. The flights from all areas are available every day. Besides arriving at lombok airport, land-based transportation can be an alternative. If you have time, you want to enjoy the trip and you are in budget, then make sure to choose land-based transportation. For example, you can land in Jakarta and take the bus. You will have to cross to the island by ferry. 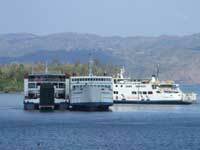 There is a Lembar Harbour in Lombok Southwest area and Labuhan Lombok ferry port that serves ferry to cross to Poto Tano, Sumbawa. 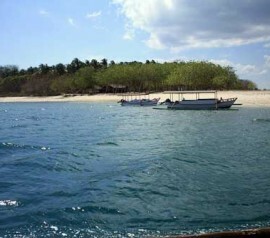 From Sumbawa, you can go to your destination Gili or small Island in Lombok with fast boat. Ferry from Bali to Lombok is available from 24/7, so you don’t have to worry about schedule. The ferry fee is so affordable, about US$2.5 and you can reach Lombok in 4 hours. For the Visa to enter Indonesia, the Indonesian government is open for 52 countries, including US and most countries in Europe. 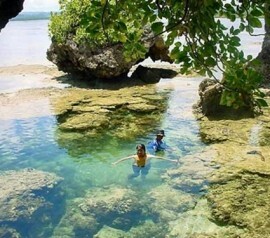 With 15 airports and 21 seaport, it will be so easy to reach Jakarta and continue the travel to Lombok. Indonesian government had also added Visa on Arrival for more than 11 countries. The fee for the visa can be paid upon landing with US$10 for 7-day visa and US$25 for 30-day visa. Make sure to check more how to Lombok on our page.